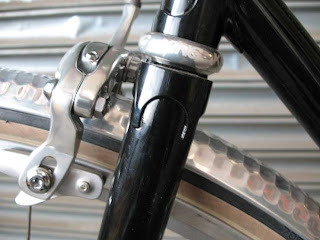 This bike is built with Sachs lugs, crown and a Pacenti bb shell. 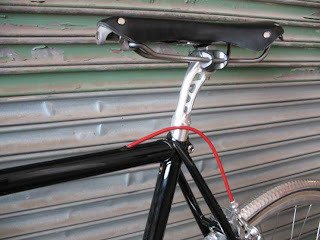 I designed and built it around standard reach (47-57mm) brakes to accomodate 27mm tires and Honjo fenders. 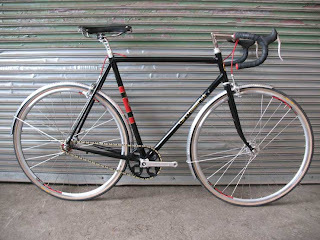 The bike is currently set up as a single speed/fixie with a flip flop hub. 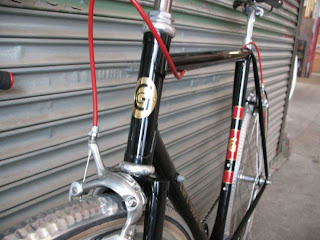 You can see there’s provisions for gears and derailleurs. The customer wanted to have that option in the future. 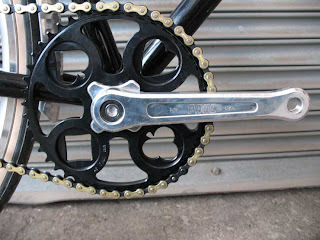 The crank and hubs are by Paul Components. The bb is Phil. 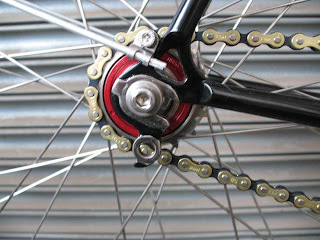 Freewheel is from White Industries. 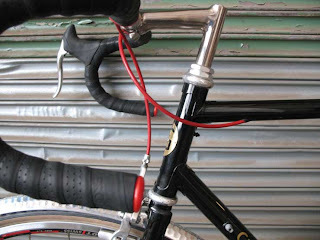 Chris King headset rounds out the collection of US made components. That wasn’t really the goal but in the end it was kind of cool. 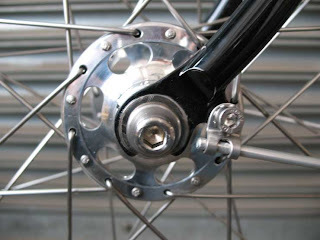 The wheels where handbuilt by me with DT spokes and DT 1.1 rims. 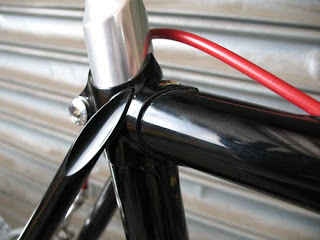 I really like how the red accents on the rims decals tie in nicely witht the red cable housing, bar plugs, bar trim tape and seat tube panels. Also the gold and black chain highlights the gold used in the window fills and stenciled on graphics. 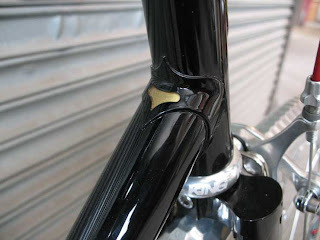 The stem is fillet brazed and nickel plated.